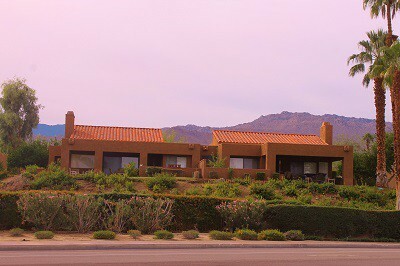 Deep Canyon Tennis Club Palm Desert, is a highly sought after, guard-gated community located in prime South Palm Desert. The Club lies halfway between fashionable El Paseo and Bighorn Country Club. 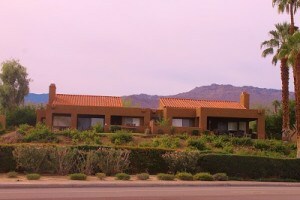 The Club enjoys spectacular views of the San Jacinto and Santa Rosa Mountains. Amenities include 12 swimming pools, 4 spas and 13 tennis courts (6 are night lit), 2 pickle ball courts, putting green, pro shop and extensive greenbelts. A large clubhouse provides entertainment facilities, library and fitness room that’s open 24 hours a day. At Deep Canyon Tennis Club Palm Desert, the interest is not only tennis. There are many other special interest groups to get involved with. These include bridge, bocce ball, water exercise, movie reviews, biking and more. Whether you’re a full-time resident, Snowbird or on vacation, this Club is all about community and leading an active social life. Deep Canyon Tennis Club is located about 20 minutes from Palm Springs International Airport, and 15 minutes from Eisenhower Medical Center. Palm Desert’s very own “Rodeo Drive of the Desert,” El Paseo, is minutes away. Deep Canyon Tennis Club sits on 70 prime acres in South Palm Desert. It was built out between 1974 to 1979, offering 350 condo homes with 2 and 3 bedroom floor plans. The units range in size from 1,100 sf to 1,300 sf. People who like Deep Canyon Tennis Club also tend to enjoy Palm Desert Tennis Club, Brava, Sandpiper and Chaparral Country Club.